In order for our pets to stay healthy, they all need regular grooming or bathing. At Carver Lake Veterinary Center we are happy to help you with that by offering professional dog and cat grooming, as well as nail filing! Our groomers are absolutely amazing! Whether you have a brand new puppy, a senior dog with arthritis, or anything in between, they will make sure that your dog’s grooming experience is comfortable and pleasant for them. 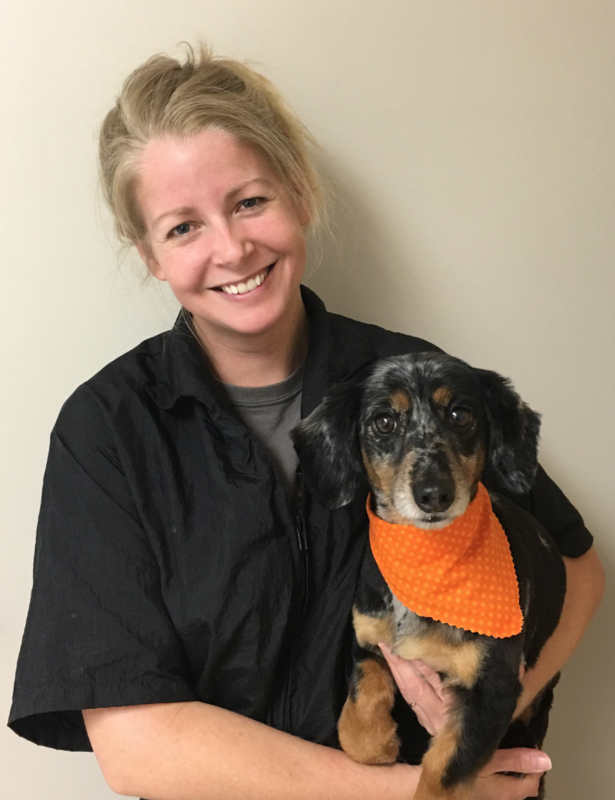 They pride themselves in working closely with owners to ensure that your pet’s appearance following the grooming is exactly as you want it to be. Cats that require grooming can be scheduled with our certified veterinary technicians. Call for more details. We also offer nail filing for both dogs and cats, either with grooming or as a separate appointment. When left to grow too long, nails can catch and break easily or even grow around and into their pads, leading to more trauma and discomfort. Let us help you avoid these kinds of injuries by scheduling a nail file for your pet today. If you do some of your grooming at home, check out our supply of shampoos, conditioners, and nail care equipment. Whether you have a new puppy, or a pet with sensitive skin, we have what you need! Regular grooming is as important to your pet’s health as vaccinations and examinations. At Carver Lake Veterinary Center we look forward to helping you keep your pet happy, healthy, and looking their best!